Those who know me will be aware I haven't slept much this week, you'll also of missed me at the regular rides no doubt... 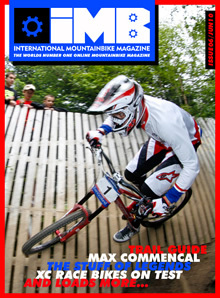 Still the fruits of our collective labour are done and the latest issue of IMBIKEMAG is out now! Some good stuff in there rou, nice work. I might be missing something but i cant see the prices for any of the kit thats reviewed ?, very good reviews on all the kit but if im reading a review i like to see the RRP in the review so it adds some sort of context re value for money or price bracket. Just a suggestion. We are working on a basic PDF reader app that will work on phones and ipads/iphones. Obviously won't be as flashy but you'll still get most of the content. should be out in about 4 weeks. Great issue Rou, only skipped thru most articles so far (at work) but all's good. Agree with Si re; Prices, otherwise fab read & top photo's mate. Love the first 2 shots on Fort Bill article specifically. Nice work Rou Did you have the helmet cam in Laggan?